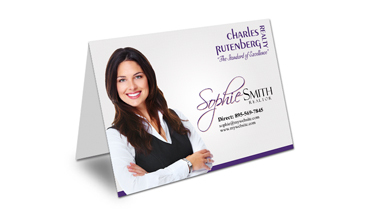 Are you searching for creative and innovative Charles Rutenberg Business Card ideas? 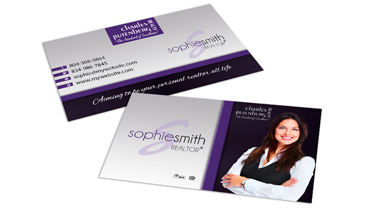 At Realty Studio Design, you can find professional Business Cards, high quality printing and competitive pricing. 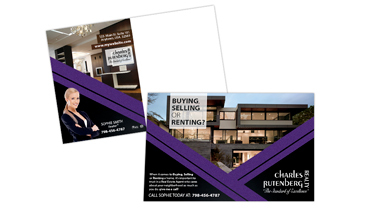 Custom Designed Charles Rutenberg Postcards are the most effective marketing and tools available for the Real Estate Market. 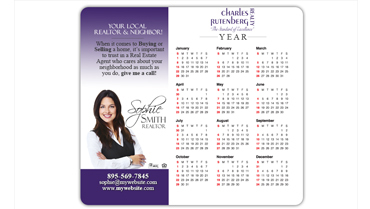 Our Postcards are specially designed for Charles Rutenberg Agents. 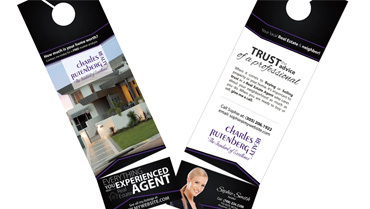 Door to door advertising is the best way to bring your Charles Rutenberg firm to the next level. 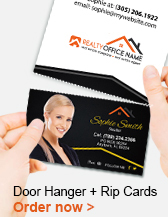 Build company awareness with custom Door Hangers for your advocacy & promotion campaigns. 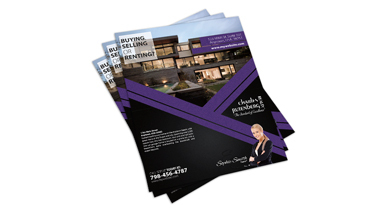 One most common form of advertising for your Charles Rutenberg Agency is Brochure design. 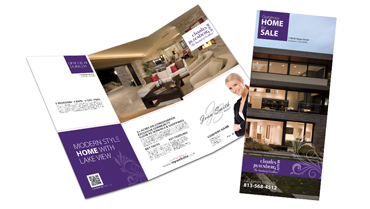 Innovative and creative full color Brochures are versatile, flexible and affordable. 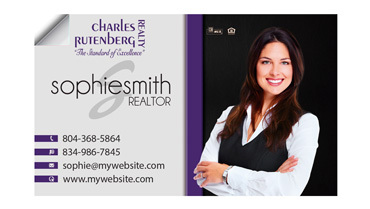 Get people to notice your Charles Rutenberg Agency with our high quality printed full page Flyers. 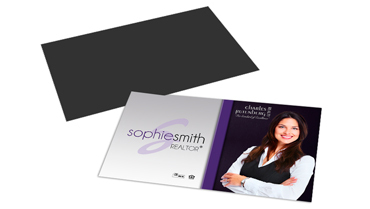 The most versatile and affordable type of marketing materials for the Real Estate market are Flyers. 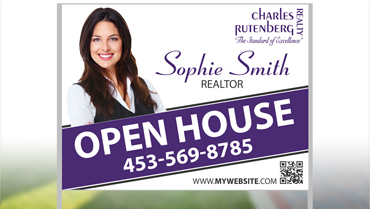 High-quality, full-color digital printing Charles Rutenberg Yard Signs specially designed for Charles Rutenberg Agents, available on 4mm and 6mm corrugated plastic & step stakes included. 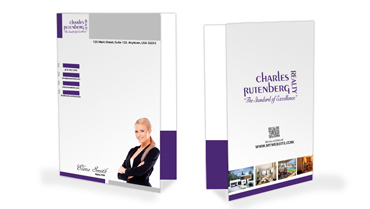 Charles Rutenberg Folders make any presentation look professional, whether you hand them out to customers or use them in your business to present a polished look about your Charles Rutenberg firm. 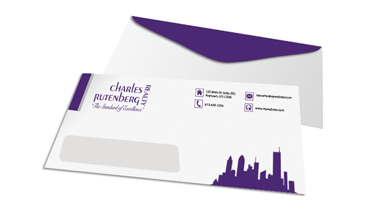 Shop colorful Envelopes for your Charles Rutenberg firm at Realty Studio Design. Whether you are mailing invoices or personal letters, be sure you always have an envelope customized with your logo and design. Charles Rutenberg Letterheads give you the chance to say more than what’s written on the page, customized with your logo and design makes a positive impression on your customers of the way you do business. High quality colorful Charles Rutenberg Greeting Cards. It’s a fast and fun advertising way to say hi, thanks or to show you care. Send to your special customers a custom Greeting Card. 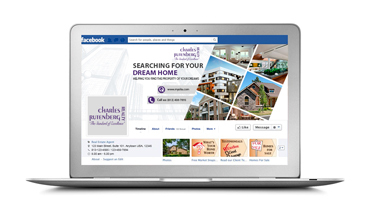 Whether you are a Charles Rutenberg Agent or Agency, make an impact on the Social Media, choosing from our gallery of professionally designed layouts for Facebook Covers and Profile Pictures. Increasing visibility is one major factor that makes having a website important. 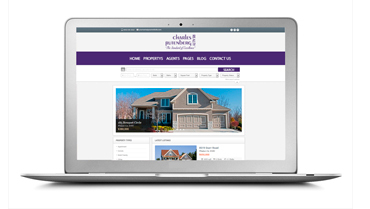 Choose a Charles Rutenberg website design from our gallery and we customized it for you for an affordable pricing! Realty Studio Design offers a huge variety of Charles Rutenberg Realty Printing Promotional Products: Charles Rutenberg Realty Business Cards, Charles Rutenberg Realty Postcards, Charles Rutenberg Realty Door Hangers, Charles Rutenberg Realty Brochures, Charles Rutenberg Realty Folders, Charles Rutenberg Realty Letterheads, Charles Rutenberg Realty Flyers, Charles Rutenberg Realty Envelopes, Charles Rutenberg Realty Greeting Cards, Charles Rutenberg Realty Yard Signs, Charles Rutenberg Realty Facebook Graphics, Charles Rutenberg Realty Websites, Charles Rutenberg Realty Door Hangers with Business Cards, Charles Rutenberg Realty Magnetic Business Cards and Charles Rutenberg Realty Business Card Stickers. High Quality Charles Rutenberg Realty Printing Services and Custom Charles Rutenberg Realty Design Services including Charles Rutenberg Realty Logo Design, Charles Rutenberg Realty Marketing Materials, Charles Rutenberg Realty Promotional Products, Charles Rutenberg Realty Holiday Cards, Charles Rutenberg Realty Holiday Postcards, Charles Rutenberg Realty Holiday Door Hangers, Charles Rutenberg Realty Car Magnets, Charles Rutenberg Realty Custom Magnets, Charles Rutenberg Realty Stickers, Charles Rutenberg Realty Calendars, Charles Rutenberg Realty Banners, Charles Rutenberg Realty Posters, Charles Rutenberg Realty Social Media Marketing, Charles Rutenberg Realty Mailing Services and much more. Charles Rutenberg Realty Printing Promotional Products, Charles Rutenberg Realty Promotional Products, Charles Rutenberg Realty Products and Charles Rutenberg Realty Logo Design Services. Save money with our Charles Rutenberg Realty Custom Design Services which are priced to fit your budget. Save time and get your first design proofs within a few hours. 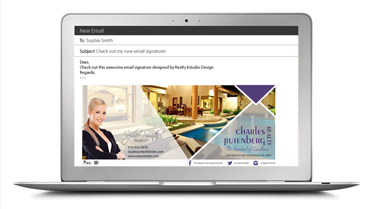 You’ll get a dedicated graphic designer working hand in hand with you in the creation of all of your Charles Rutenberg Realty Printing Promotional Products ensuring a consistent high quality look and feel. Request a quote today. 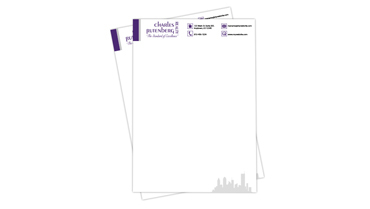 To learn more about Charles Rutenberg Realty Printing Promotional Products, please, contact us today! 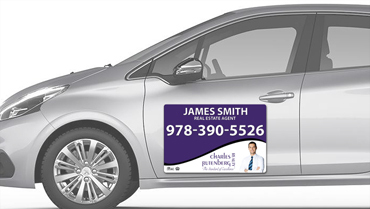 To learn more about our Charles Rutenberg Realty Promotional Products, Charles Rutenberg Realty Printing Promotional Products, Charles Rutenberg Realty Logo Design and Charles Rutenberg Realty promo codes, please Contact us online. Our customer service team will be glad to help you and guide you through all the design and printing process to complete your order. Visit our Real Estate News section, to keep in touch with our team and to stay up-to-date with our new product releases and services.